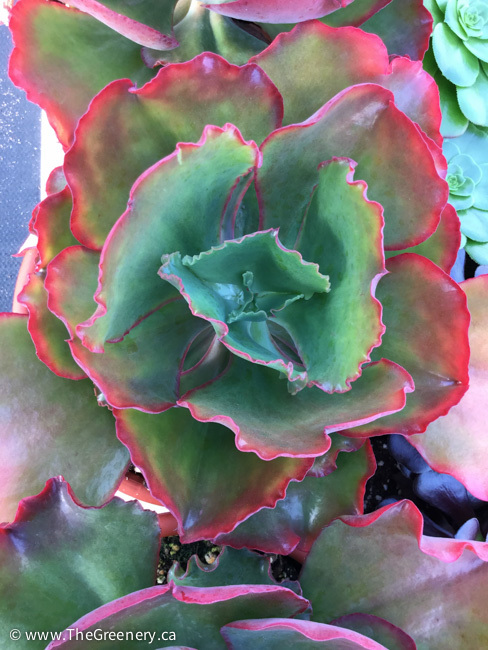 Don't despair: New plants are here! 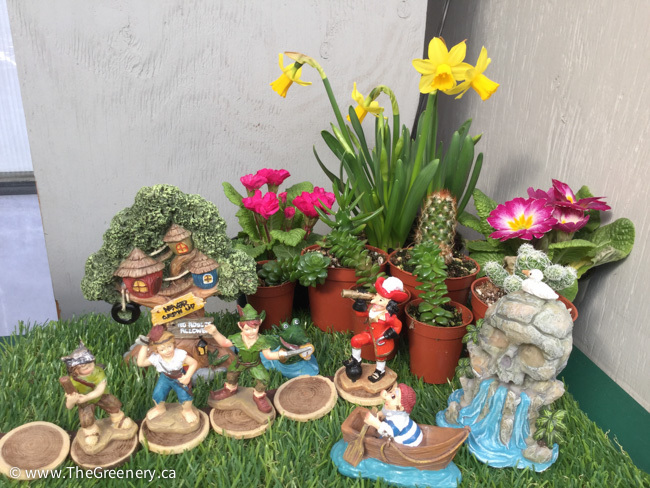 Well, it sure doesn't look or feel like spring has sprung yet, but let's not get discouraged - we have what you need to cheer you up! The first Daffodils are opening and other cool crops like Primulas, Pansies, Pot Carnations, and Ranunculas are starting to show good colour. 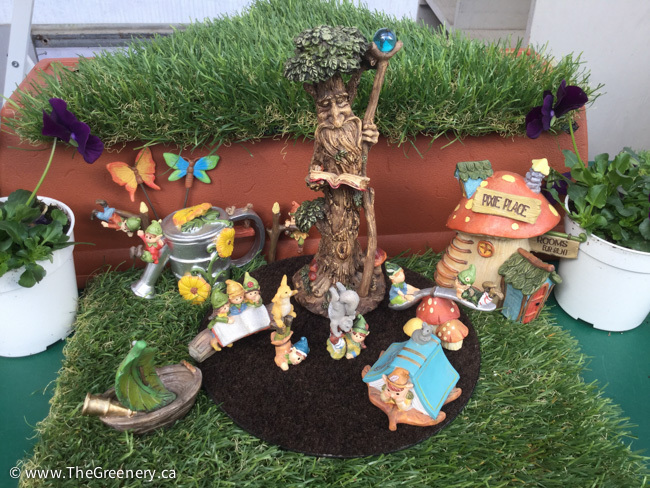 As well as our cool crop plants, we have a great selection of fairy garden characters including some brand new fairy garden decor themes like Enchanted Forest, and Neverland to help you get past the winter blues. We also have added to our hardy veggie and herb table on C-6! 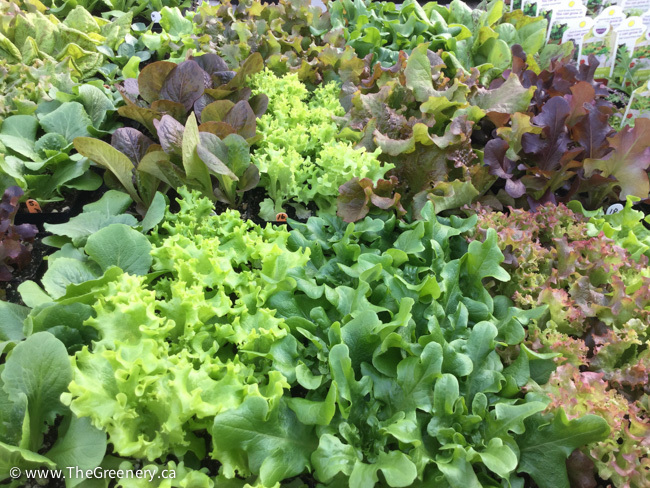 We will be bringing out young bedding packs of Cole crops like Broccoli, Kale, Cabbage, and Kohlrabi, as well as some 2.5" potted Lettuces that are nearly ready to eat. Don't forget we have a great selection of herbs which can be placed in a bright location on a windowsill in the kitchen for easy fresh picking during these cooler days of late winter and early spring. 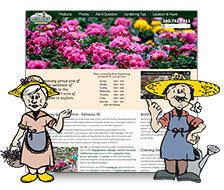 Once weather has improved, you will be able to plant them outdoors in planters or the garden. Check out the new Dinnerplate variety 'Winesome', and the super tall varieties 'Ferncliff Illusion', 'Penhill Watermelon' and 'Sir Alf Ramsey'. Decorative Dahlias are lush plants that produce masses of 6-8" blooms. This season try out the new variety, 'Dazzling Sun'. In the way of Gladiolus, we have some very unique varieties like 'Espresso', 'Passos', 'Velvet Eye', 'Halloween' and 'Shaka Zulu', as well as some mixed variety packages. 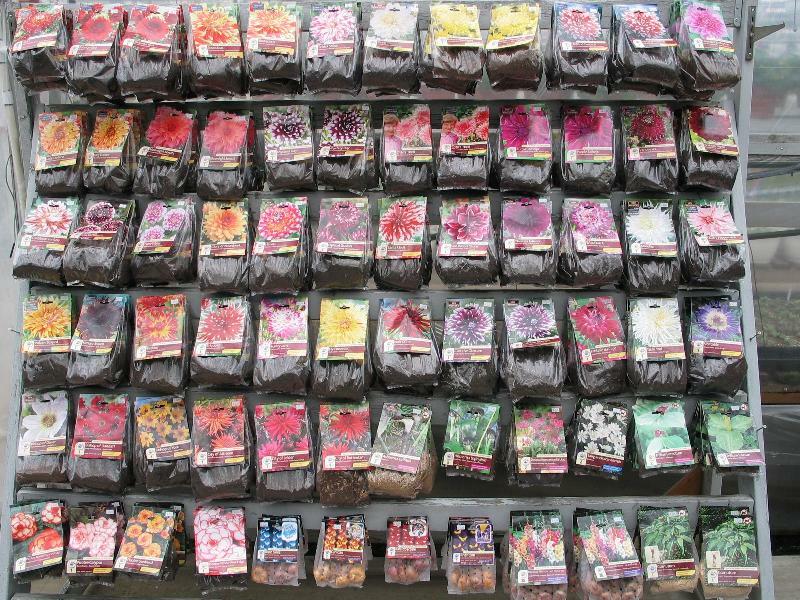 New to our packaged bulb selection are Tiger and Trumpet Lilies, Anemones, including the new 'Bordeaux' De Caen Anemone, Acidanthera (Peacock Flower), Ismene (Peruvian Daffodil), Nerine (Spider Lily), Sprekelia formosana (Aztec Lily), Amaryllis, Tuberose and Gloriosa Rothschildiana (Climbing Lily). Back again are the beautiful, and blooming 12" and 14" Zonal, Martha Washington, and Scented Geranium stock pots. The Martha Washington stock pots are located in the centre aisle of selling section A, so if you are interested in looking at these, just let the ladies up front know. 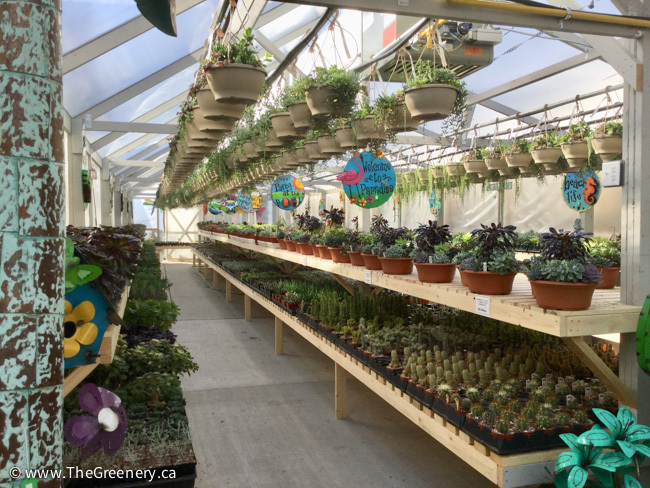 Scented Geranium stock pots are in the main aisle between selling section B and C.
If you haven't made it in to browse through our newly renovated Succulent House, be sure to come in and check out the unreal display! 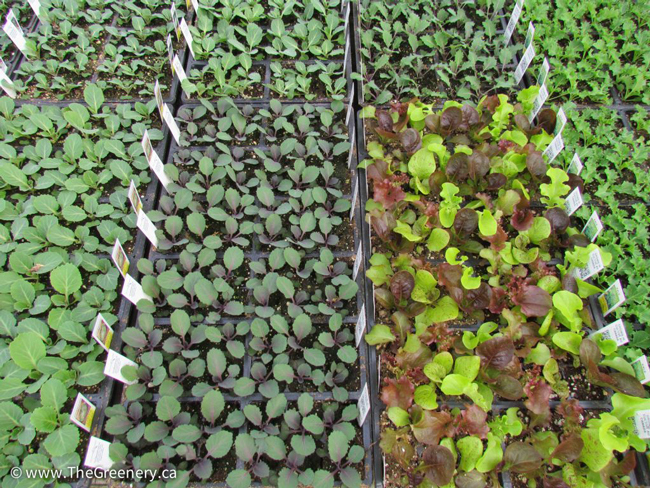 Some varieties are not easily propagated, so numbers are limited. 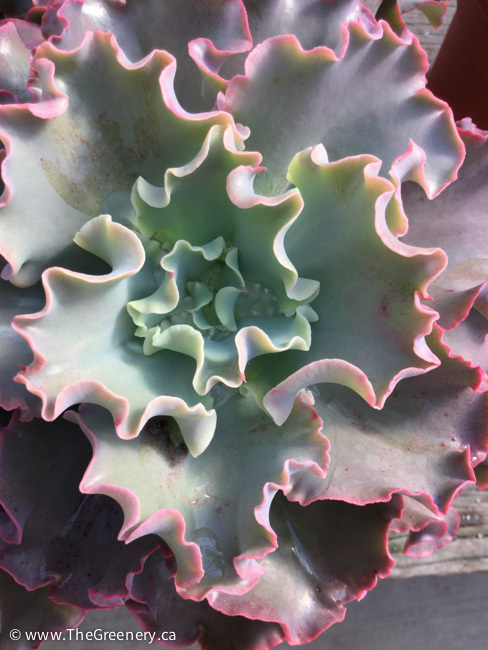 Come see our newly renovated Succulent House! 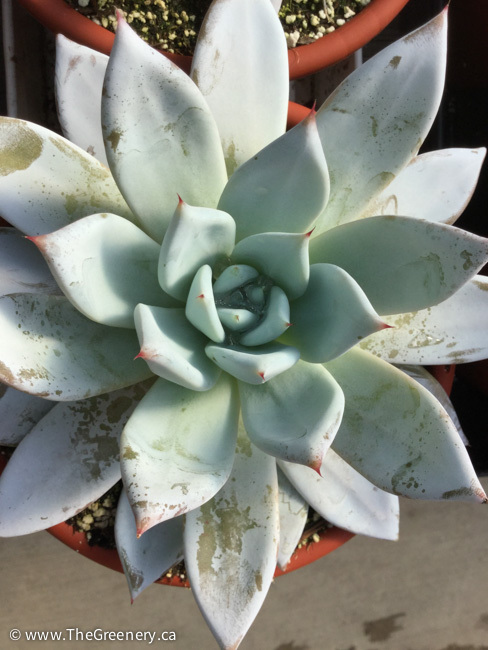 We have an awesome selection of large succulent bowls in both 12" and 14" and smaller succulent hanging baskets. 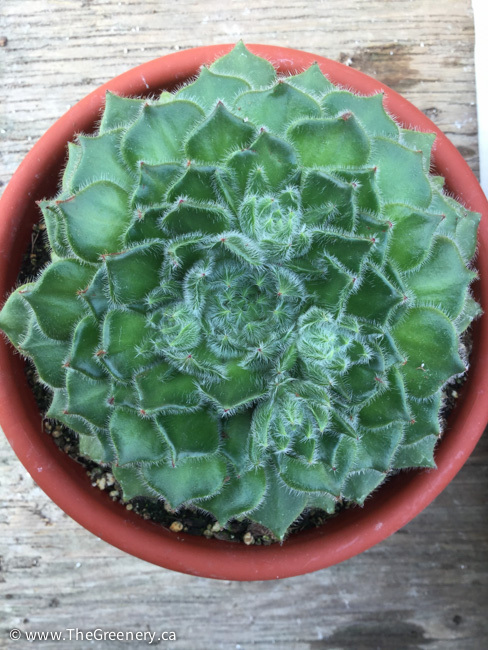 As well, the perennial Sempervivum (Hens and Chicks) 14" moss baskets look amazing and are easy to care for as they need very little water and are hardy enough to stay out all winter.